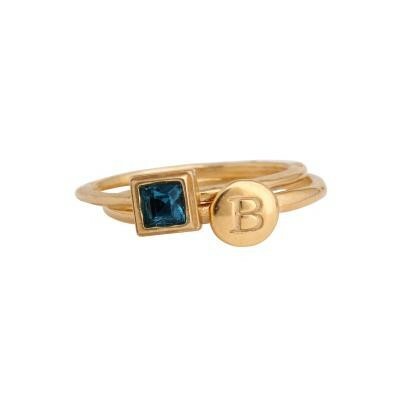 This is the perfect set of stackable initial and birthstone rings for a new mom. The rings are a sweet reminder of the new addition to your family. This set of two initial and birthstones rings is the perfect present for a new mom. The rings are gold vermeil and will add just the right amonut of bling to your life.